For those of you that don't already know, my partner Dianne takes 35mm photographs in museums and turns them into beautiful handmade pouches. 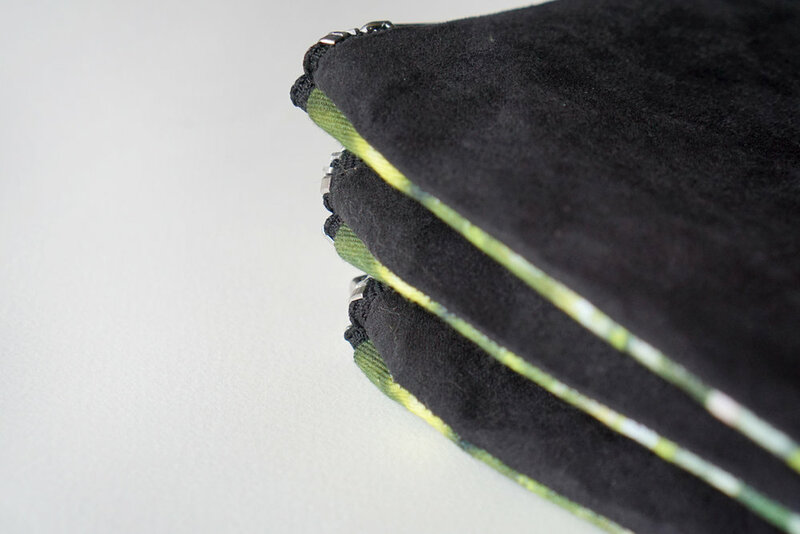 She gets the photos professionally printed onto fabric and then makes them by hand, here at our flat in North London. In the summer of 2015 I took a photograph of a hop bine growing wild outside Brouwerij Boon in Lembeek, Belgium and I suggested to Dianne it would look great on one of her pouches. A while later and here we are with a one-off run of 20 pieces that we've made available for sale today. 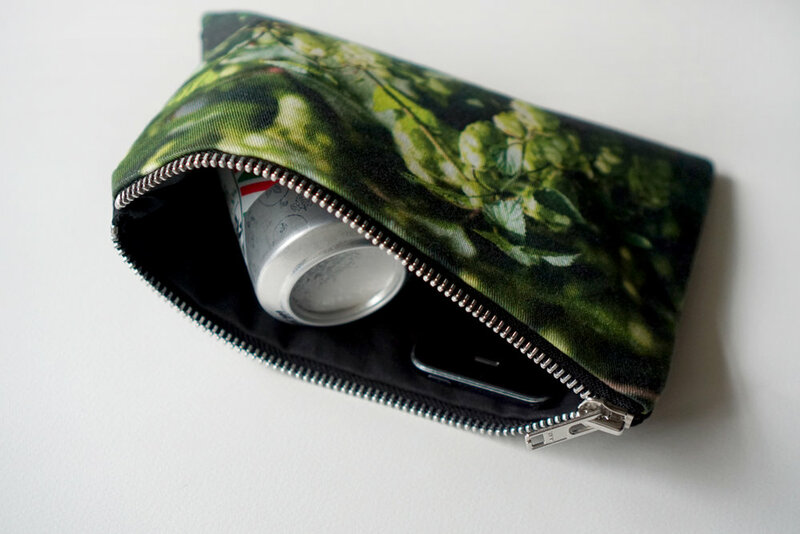 Each Hop Pocket is 9" x 6" in diameter and suitable for use as a clutch, purse or just a carry-all pouch. The front is printed with hops and its finished with a simple black faux suedette reverse and a sturdy metal zip. It'll even fit a couple of 330ml/12oz beer cans with relative ease. It's an ideal gift for the hop-lover in your life that already thinks they have everything, or to show off your own deep love for humulus lupulus for all the world to see. We will stress that this is a strictly one off limited edition set of pieces, so don't hang around if you want to make one yours.